Auto & Tire Shop Richmond, VA | Broad Street Auto & Tire Inc.
Family owned and operated since 1960. Our goal is to offer the best services available at affordable prices to get you back on the road in no time. You'll be hard-pressed to find the same level of expertise that our auto mechanic specialists provide! We have years of experience working on both domestic and import vehicles of all makes and models and can work with you to find cost-effective repair and maintenance alternatives. Broad Street Auto & Tire performs quality auto repairs and stocks a competitively priced selection of tires. Since our humble beginnings, we have grown to acquire a loyal base of returning customers. We have done this through quality workmanship and friendly service. We look forward to building equally rewarding relationships with new customers. We want to make a first-time customer a lifetime customer. 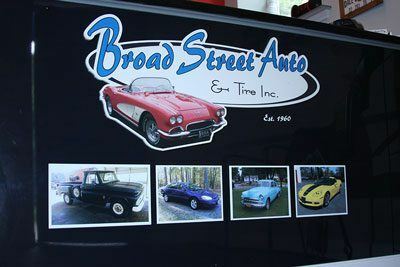 Broad Street Auto & Tire is part of the Be Car Care Award program. We perform high-quality repair service at a fair and just price. We recommend the services, repairs, and maintenance that are necessary to maintain the vehicle in safe working order. We use only safe products. Alice Coleman owns Broad Street Auto & Tire. Our experts have the knowledge to service and repair even the most challenging problems on all makes of models of domestic and import vehicles. We use the latest technology to assess the situation and offer you alternatives. We guarantee all work. Competitive prices on consumer tires from tire brands like Uniroyal®, Yokohama, and Firestone. Quality repair services including state inspections, brake repairs, wheel alignments, transmission repairs, and steering and suspension system repairs from an ACDelco-certified shop. Broad Street Auto & Tire serves the automotive repair and new tire needs of customers in Richmond, VA, Henrico, VA, Midlothian, VA, and surrounding areas.